Hey there! 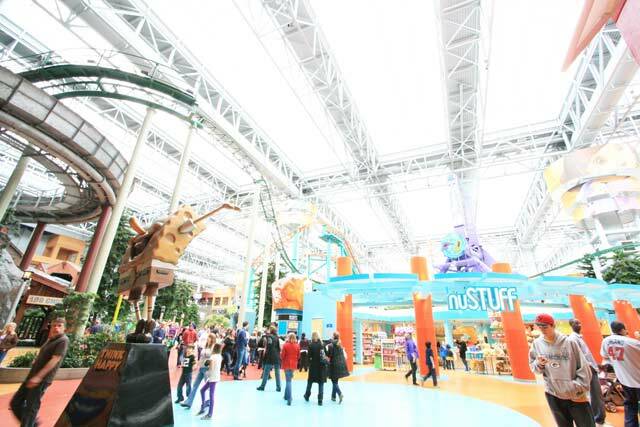 Today I am posting something a little different than usual : A frugal guide to Mall of America®. I live just a few miles from Mall of America (MOA™) in Bloomington, Minnesota. And I know this Mall like the back of my hand. If you’re new to my blog, you should know that I’m all about bargains and budget shopping. I’ve come up with some lists to help you get the most out of MOA while sticking to a budget. I hope you enjoy! Nordstrom Rack: Be prepared to dig deep to find the best deals at this store. I recently found a super cute winter coat on clearance for just $39 – one that I can wear for years to come. A brag-worthy find, if I do say so myself. Forever 21: I don’t like spending a lot of money on trendy clothing and accessories, because these items can look dated in just a few months. What I love about Forever 21 (and this new flagship store!) is that I can afford to purchase these pieces without overspending. I especially love perusing the jewelry and accessories section for fun pieces to spice up my outfits. Francesca’s Collections: Shopping at this cute boutique is like going through the closet of your most fashionable friend. Everything here is so gosh darn cute! And the best part? Most of the items in this store cost less than $40. Fabulous. Tiger Sushi: One of the best salads I’ve ever eaten was at Tiger Sushi 2. The “Volcano” salad is full of fresh seafood, strawberries, mangoes and kaiware sprouts, topped with a mango-chile sauce. Johnny Rocket’s: Get a lot of food for not a lot of money at this 50’s style diner in the south food court. Burger Burger: Get a really great, filling burger for $7.00 or $8.00. (Try the John Wayne!) They also have really good fries. Culinary on North: The north food court is full of fun new dining options: Shake Shack, Naf Naf Grill, Piada (Italian sandwiches), and Melt Shop all offer plenty of options on a budget. Poukei: This new addition to the north food court offers poke bowls and sushi burritos. It’s not the cheapest fast food dining option, but I love their food. You can get a filling meal for about $11.00. I have tried the spicy salmon poke bowl (with kimchi, avocado, Japanese pickles, carrots, yum yum sauce, and eel sauce) and the tempura shrimp sushi burrito. SO good, you guys! Teavana: Sample an array of hot and iced teas from around the world at this Zen-like store. If you fall hard for a certain type of tea, you can buy a cup to sip while you shop. The South Food Court: Want to grab a quick bite but feel overwhelmed with options? Take a stroll around the South Food Court. Some of the food stands give out free samples. My favorite? The mango chicken at Ruby Thai. Pepper Palace: You can sample almost every hot sauce, barbecue sauce, and salsa in this store. Take my advice: Start mild! Vom Fass: Sample flavored olive oils, balsamic vinegar, and spices at this fun shop. They also sell liqueurs and wine. Lindt chocolate: What’s better than chocolate? Free chocolate! Rumor has it, Lindt sometimes hands out free chocolate truffles. Cupcake: Savor each bite of an award-winning cupcake at this bakery on the third floor. Cupcake chef Kevin VanDeraa won Cupcake Wars on Food Network last year. The delicious cupcakes range in price from $2.25 to $3.95. My favorite? Gotta go with a classic: The June Cleaver. White cake with chocolate frosting. Lush: Sampling is encouraged at this intoxicatingly fresh cosmetics store. The friendly staff routinely offer skin treatments and explain how to use their unique body products. My favorite product? The shampoo bars that make my hair smell super fabulous. The second floor on the West side: Start at Sephora and sample cosmetics, fragrances, and hair products before you buy. Then make your way north and hit MAC, Origins, Aveda, and Sigma Beauty for more samples and pampering. Want to make a weekend out of it? 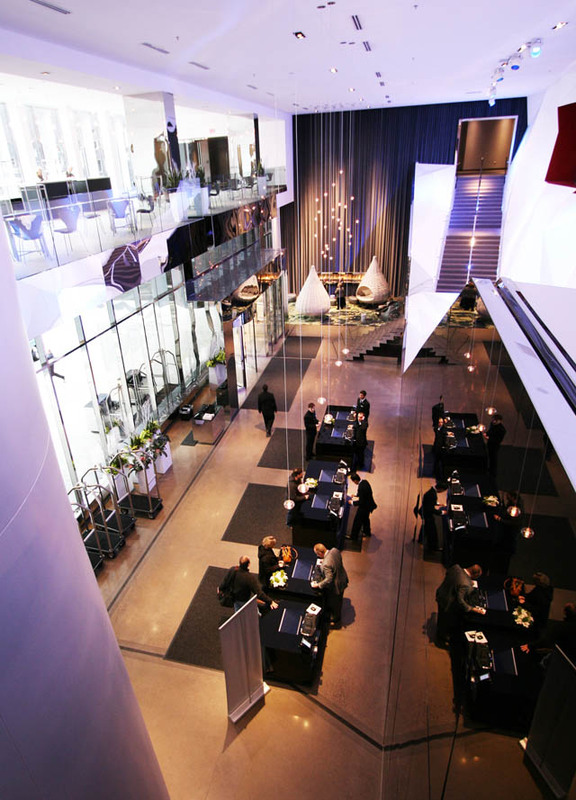 The new Radisson Blu is connected to the Mall of America by skyway. How convenient is that? After a day of shopping, eating, and entertainment, nothing feels better than being mere steps away from your hotel room. The rooms are modern and comfortable. And I loved the Minnesota-themed accents. The headboard featured pictures of the Minnesota Twins, Bob Dylan, the Walker Art Center, and other local icons. Forever 21 is my favorite budget-friendly store at MOA. I like the Minnesota stores and the Packers store but my favorite “deals” place is the huge DSW! Shopping the clearance section at Ann Taylor when it’s an extra 30% off! Do Toddler Tuesdays count? Those are a great deal. Otherwise, I like shopping at the Lands’ End store inside of Sear’s. Great prices on solid clothes. I love going into Sephora and trying out every imaginable blush, powder, and eye shadow. I have to say those products really help cover the blemishes on an aging face. Hmm, I guess I usually hit up The Limited; they’ve been having sales every time I’m there. We are headed to The Mall of America this fall. I have never been and am so excited! The gift card could come in handy!! Gonna have to go with Cupcake! Nordstrom Rack is my favorite! American Apparel occasionally has good deals! It depends on the day. Check out the happy hour specials on the MOA website before heading out. They have great deals if you arrive at the right time and order from their discounted menus! Oh, so many to pick from. I’ve gotten great stuff at Off the Rack. Looks like loads of fun. I would love to go there! I’d like to check out the Swim N’ Sport store. H&M is my favorite place to shop! You’ve hit my favorite: Pepper Palace. I love trying new things so getting to sample things is really fun, especially when I go with my husband and kids. Outside of food, I’m thrilled to hear that LUSH, Minnesota-made soaps, is at the MOA. In our quest to minimize plastic, we discovered lush shampoo bars. They won the Best Green Packaging award in 2008. Cupcake is budget friendly when you share your cupcake with your whole family. Maurices – I love their clothes…and their sales!! Thank you for this post. I love insider tips to “The Mall”! Even after countless shopping and dining trips, it is fun to learn new money saving tips. I am always up for a bargain! I don’t yet! We are making our first trip there in a couple of weeks. We have a Francesca’s in our mall though and I love it. My favorite budget-friendly restaurant at Mall of America is Magic Pan Crepe Stand. Forever 21! they have affordable clothes & accessories, and are always fashionable! My favorite budget-friendly restaurant at Mall of America is Tiger Sushi 2. Because I used to live in Minnesota, I know that Tucci Benucch is the best restaurant in the MOA, specifically, the Baked Spaghetti, which is a block of deliciousness! My favorite budget-friendly store at Mall of America is Forever 21! Always find some cool stuffs there at very reasonable prices. I like forever 21 myself! I like to shop at the Gap. We love the American Girl store!! I have never been there, but I would like to check out Magic Pan Crepe Stand! Forever 21 is my absolute favorite! I like Bath and Body Works. I am on their email list and I always receive coupons from them. Plus, they have frequent sales. My favorite budget friendly store is Urban Outfitters. I love that store! My fave is Forever 21, I love MOA. Old Navy is my favorite. I’ve never been to MOA, but we are going this summer! Thanks for the chance to win! I would go to Sephora and the AQUARIUM! I love the Rain Forest Cafe! I’ve never been to MOA but Marshalls which is listed as one of their stores always has great deals. I love shopping at the Nordstrom Rack. Bath and body works is my fav. fragrance and lotion store. I get coupons from them all the time and they always have great deals when I come in. Deals like “buy 2 get 1 free” And “all lotions half off” are what make me save a lot of money everytime I shop there.